We provide sharpening for shears, scissors, and clipper blades as well as clipper and dryer repair for beauty, barber, grooming, and veterinary professionals. Our diversified product range continues to grow by following trends, improving our standard products, and listening to the customer. Our unique service has established our place in this industry. This allows us to make a distinctive and substantial impact for our clients. We are located in Decatur, Alabama and provide services and products to customers worldwide. I am a shear sharpener in Decatur, Alabama. Our NBTSG certified sharpeners have been sharpening for beauty, barber, and grooming professionals in the Tennessee Valley since 2008 and we have an A+ rating with the North Alabama BBB. 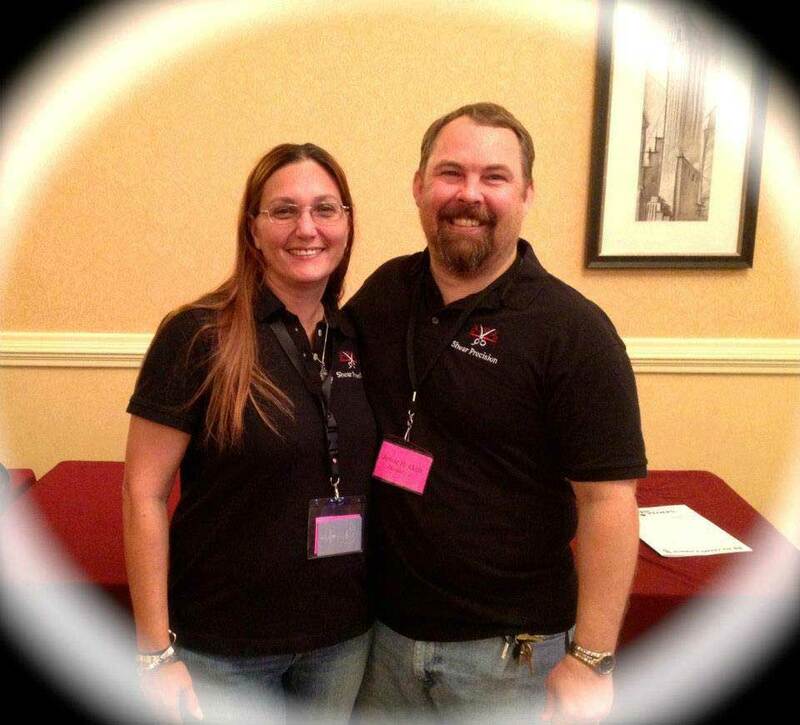 During the 2013 National Beauty Tool Sharpeners Guild convention held in Memphis, Tennessee Dawn achieved Master Sharpener status for shear sharpening and Jesse achieved Master Sharpener status for clipper blade sharpening. All sharpeners for Shear Precision are now Master Sharpeners who have been certified by the NBTSG. Read what Dawn and Jesse's customers are saying . . .